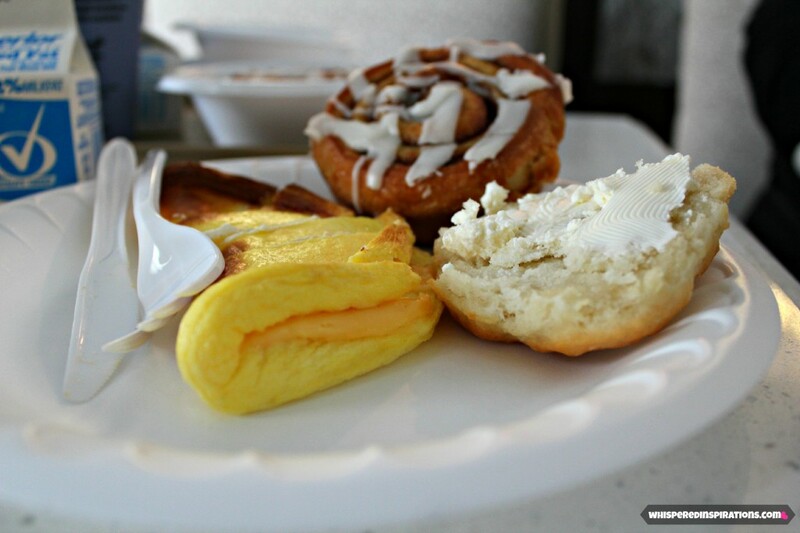 You are here: Home / Family / Holiday Inn Express: Delicious, Warm Breakfast and An Express Start! Stay in a Beautiful Room and Get Complimentary Breakfast Everyday of Your Stay! Start your day with an Express but, tasty breakfast! Holiday Inn breakfast starts at about 7:00 AM and ends at 11:00 AM. It differs per location and during the weekend it is from 6:30 AM to 12:00. 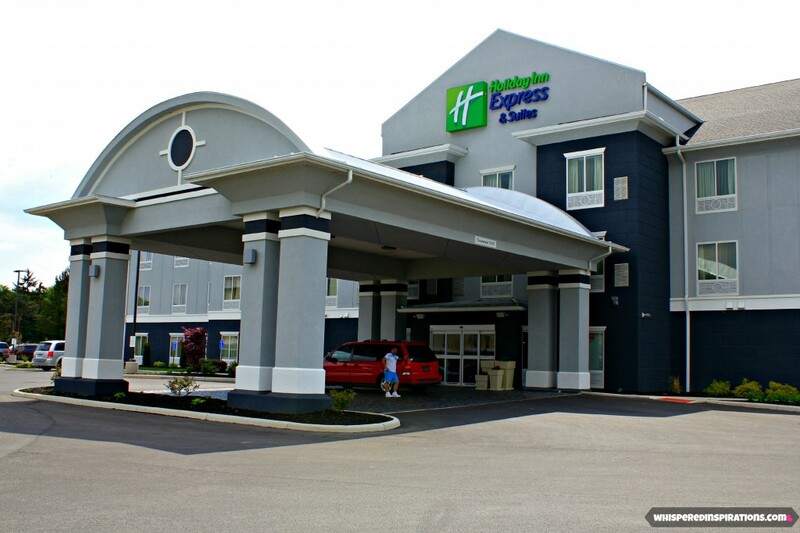 If you followed our stay at the Holiday Inn Express in May, you’ll see that we discovered that staying at the Holiday Inn is not only affordable it is quality. We enjoyed our suite and we definitely took advantage of their amenities. Most of all, we enjoyed how well taken care of this property was. When you travel with a family, you want to get bang for your buck. That doesn’t go to say that even though we travel as a family we don’t enjoy indulging and taking advantage of amazing cuisine and luxuries. But, it never, ever hurts to have complimentary breakfast at your hotel. It saves times, it saves money and it’s even better when it is delicious! 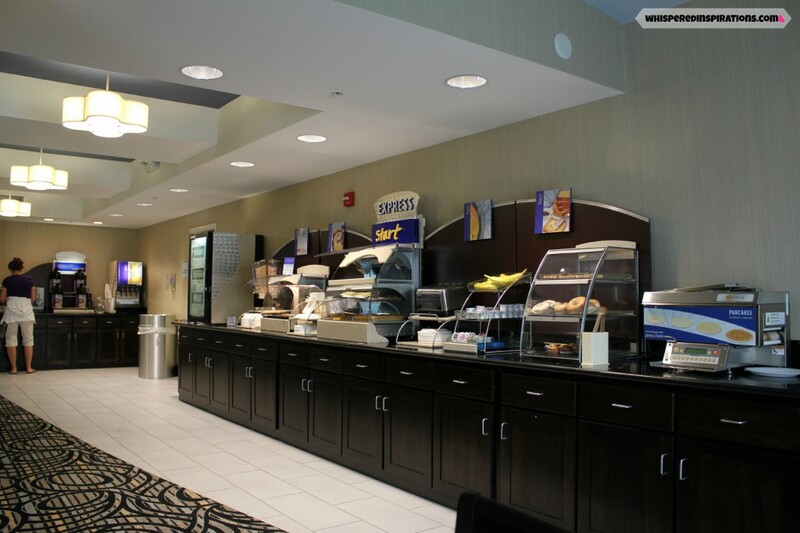 The Holiday Inn Express in North Fremont, Ohio had a delicious breakfast ready for us and it was served until 9:30 A.M. They offered different roasts of coffee, tea, and breakfast juices. 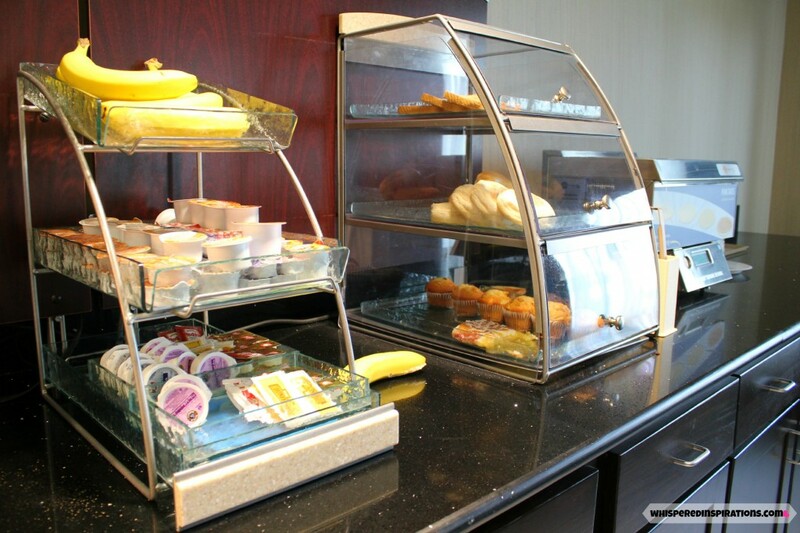 Whether you wanted to stay and take a seat in the lovely breakfast dining room or take it to go, you had the option. Muffins, toast, danishes, English muffins, fruit, jams, and cream cheeses. You name it, you definitely have a choice and whether you’re really hungry or have a small appetite–you will be satisfied. 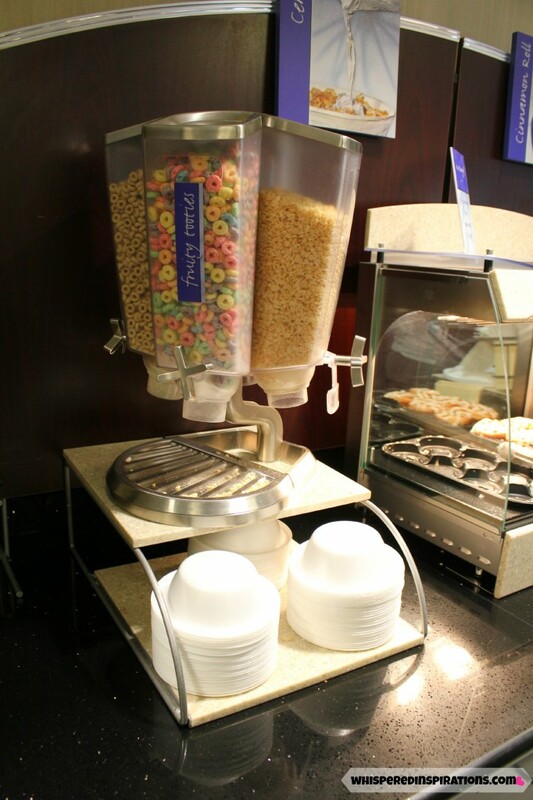 If you’re more of a cereal person, they have your favorites as well as a fridge full of fresh milk and yogurt. If you are more of a sweets type of person, Holiday Inn Express has their delicious cinnamon rolls that they could barely keep stocked. Their Cinnamon Rolls were so delicious, soft, warm and gooey. I know many people have told me about the Holiday Inn cinnamon rolls. They said if you’re staying at the Holiday Inn, get their rolls! They had to keep making more because they sold like hot cakes. Do you like hotcakes? They had them too and you can make your own! Unfortunately, I didn’t get to try to make my own pancakes because when I got downstairs they had run out of batter and had gone to restock it. I did, however, see the deliciousness that came out of this machine on other people’s plates. I thought it was so cool and it was my top choice but, I will have to make them next time I stay at the Holiday Inn. I ended up with a delicious cheese omelet, English Muffin with cream cheese, milk and a Cinnamon Roll to end it a great Express Start. All Holiday Inn Express patrons can start off with a delicious and warm breakfast everyday with complimentary breakfast with every stay! 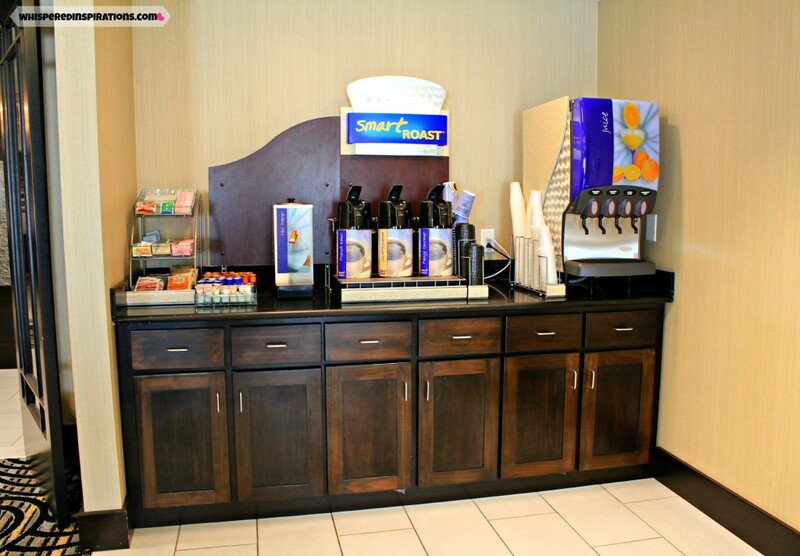 Just another reason why Holiday Inn Express rocks, it’s no wonder the North Fremont has a 4.5-star rating! Have you ever had their signature Cinnamon Rolls or Pancakes? I stayed at the Southside Edmonton location once and had a great time. I love the breakfast! I haven't had either one, but I'm totally intrigued with that pancake maker and I might have to stay there because of it! The breakfast with warm items is such a plus! The omelet looks yummy! Pancake machine?? 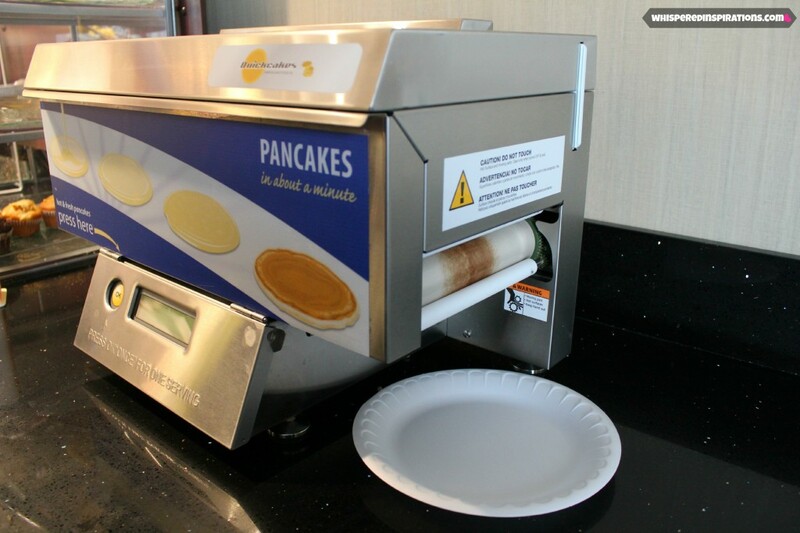 Oh, I'd love to try that…usually I'm happy when a continental breakfast has waffle machines! Yes, I did know that. We had to stay at a Cambridge Ontario Holiday Inn Express (or outside Guelph) anyways it had this delicious breakfast and it was really nice too. I was very impressed. The breakfast wasn't cheesy and small – it was substantial! I loved that they had this yummy economical breakfast. Holy smacks! Their breakfast options look amazing! We're traveling to Toronto this summer, I just might have to check them out! We love the Holiday Inns and when we travel we usually stay at one. Their complimentary breakfast cannot be beat and the kids like that they can choose what they like. Holiday Inns do have the best cinnamon rolls!!! We just enjoyed Holiday inn this past weekend,always great service! That is awesome! They never disappoint. Hi there,I log on to your new stuff named “Holiday Inn Express: Delicious, Warm Breakfast and An Express Start! Stay in a Beautiful Room and Get Complimentary Breakfast Everyday of Your Stay! – Whispered Inspirations” regularly.Your humoristic style is awesome, keep doing what you’re doing! And you can look our website about love spells. Aw thanks! I’ll check it out! 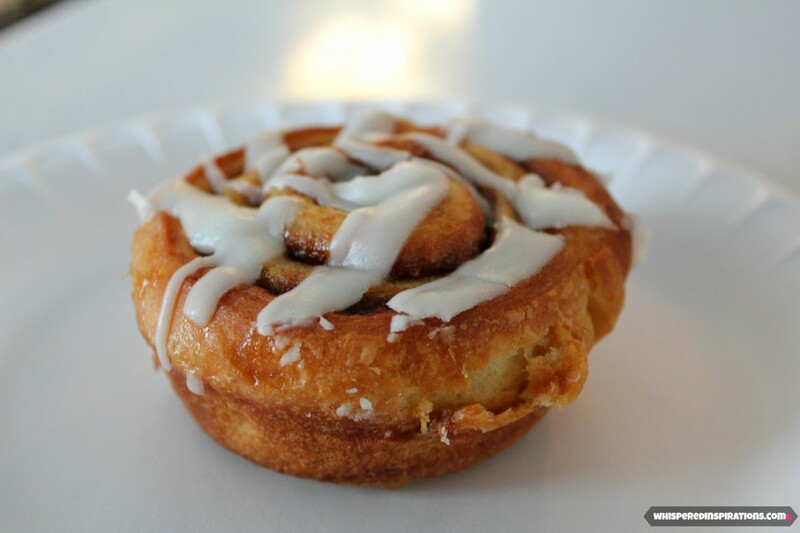 Does anyone know where theyy purchase the cinnamon rolls and are they available for public purchase ? They are really good and we wanted them for a family reunion function. I would give your closest Holiday Inn a call and see if they can help you.